I recently received a donation of two high quality lathes for Orchard Workshop from the Worshipful Company of Turners. 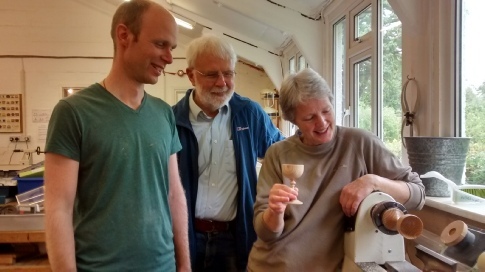 The lathes were offered due to a legacy left by a Company member, Geoffrey Brandon for which Orchard Workshop, myself and my students are all very grateful. 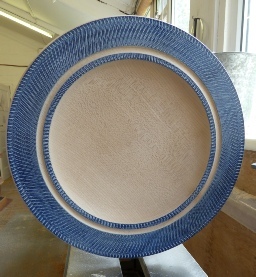 The lathes have improved my students learning experiences and given them the opportunity to make larger projects such as platters and bowls. 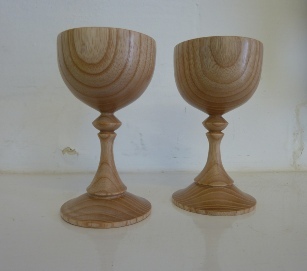 On this page are a number of pieces made by students at Orchard Workshop using our donated lathes. There are more pictures on the Courses page.